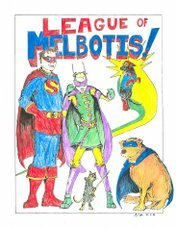 League of Melbotis: HAPPY 2008, LEAGUERS!!! Eye contact made – just ignored us. We walked out and ate at Hutt's instead. Even that time Our Great Houses of the Landsraad met there there were about 8 other humans in the place and I can't say service met Mr. Pink's standards.